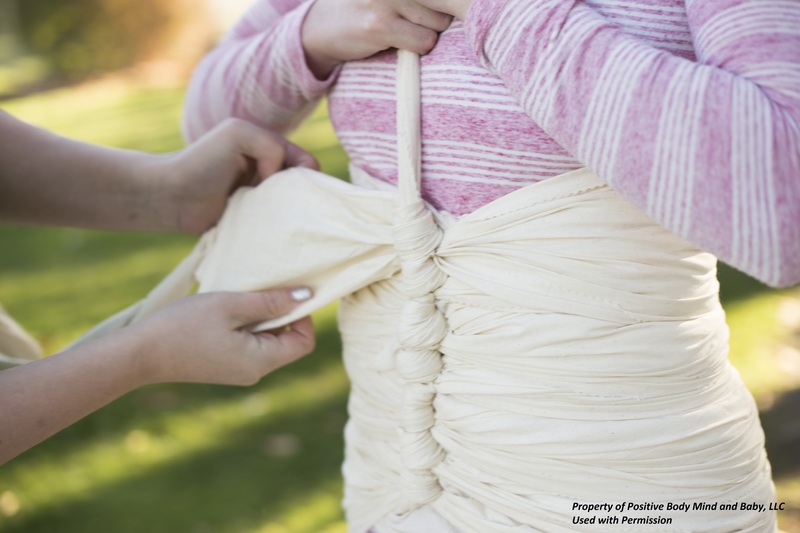 Belly binding is the art of wrapping a postpartum woman’s belly to provide physical support for her uterus and other organs after childbirth and to help to speed the healing and recovery process. This practice is done using a long strip of cloth which is wrapped around the abdomen from the hips up to the bust–sometimes after applying an herbal firming paste or essential oils to the abdomen. 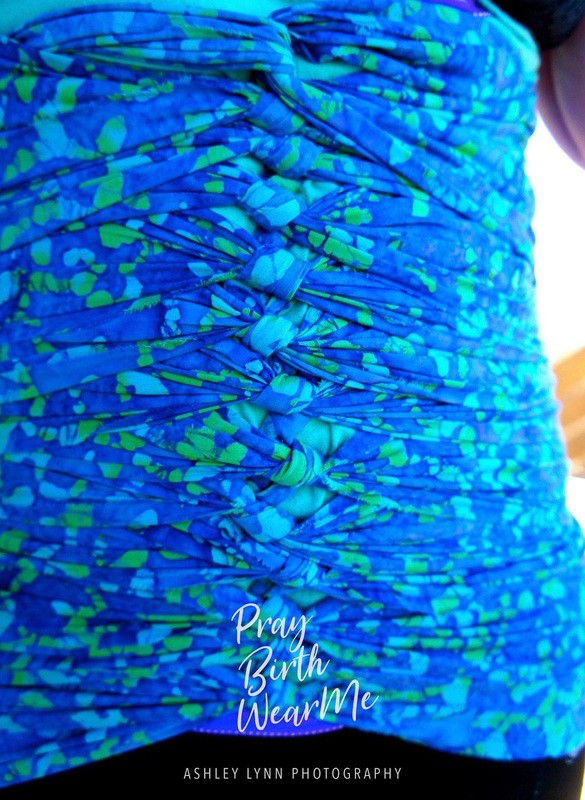 The Bengkung style of belly binding shown on this page is rooted in Malaysian culture, however various countries and cultures around the world have used their own form of belly binding for thousands of years to help support the healing process as well. Helps to slim the abdomen, hips, and rib cage. Encourages healing from pelvic/pubic separation. Decreases postpartum bleeding time by speeding up the process of getting rid of waste blood. Supports relaxed, stretched out, and sore muscles. Gets rid of the “empty” feeling after childbirth. Women often feel as though everything is floating around loose inside once the baby has been born. This gentle yet firm support aids the organs in returning to their pre-pregnancy position. Helps to prevent and relieve lower back ache, often caused by slouching while nursing your baby. Supports the body’s spine and posture realignment after birth. It feels good! 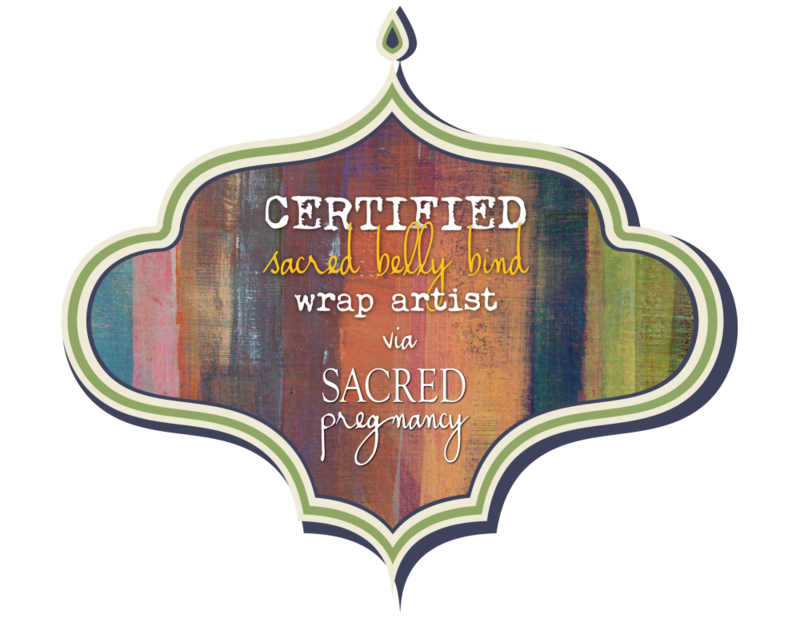 Belly-binding can help you feel more safe and secure, both physically and emotionally. Belly binding is also about more than weight loss, or getting your pre-baby figure back. It is about supporting your body in a time of vulnerability. It’s about honoring the space of motherhood, the transition from woman to mother. Woman are often instinctive nurturers. We often take care of everyone around us, but rarely do we have the opportunity to be taken care of ourselves! Postpartum belly binding is a tradition of care-taking and healing that creates the feeling of being surrounded, supported, and loved. Online self binding video tutorial.